This water sensor's use of outlet power is more curse than blessing. Where competing smart water sensors have zigged, D-Link has zagged with its DCH-S160 Wi-Fi Water Sensor. The biggest distinguishing feature of D-Link’s sensor ($60) is that it doesn’t use battery power. 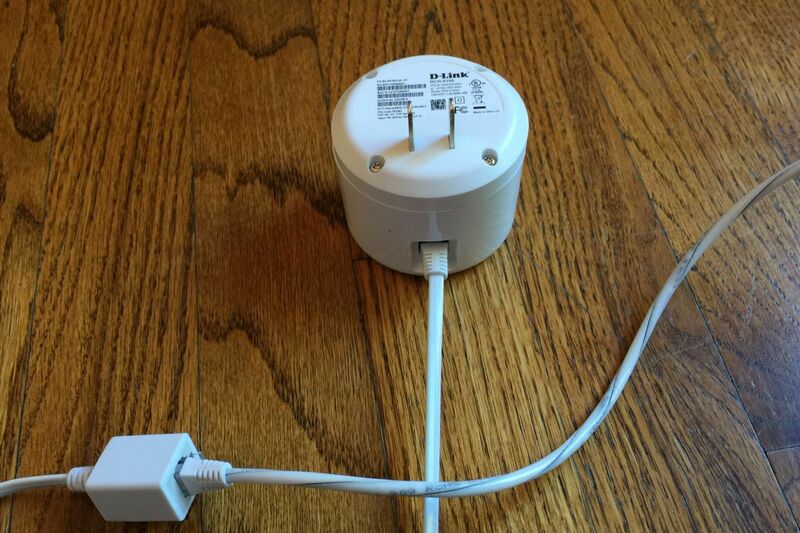 Instead, it plugs directly into a wall outlet and uses a sensor-laden cable to detect leaks. Unfortunately, this decision creates some new headaches that probably aren’t worth the trade-off for most people. The D-Link sensor is a circular device of considerable size. Plugging it into a bottom outlet blocks the top one, and plugging it into the top outlet leaves little room underneath with the sensor cable hanging down. Unless you use an extension cable, you’ll likely have to dedicate an entire outlet to the sensor. The bigger problem with outlet power is that there’s no way to get alerted, even from within your own home, if the power goes out. That’s also true of battery-powered sensors that rely on push notifications, but with D-Link’s sensor you don’t even get the alarm on the device itself, as it lacks a battery backup. Getting D-Link’s sensor set up is a minor hassle, requiring you to scan a QR code into the Mydlink Home app from a card in the box. You can then press the WPS button on the sensor and your router to complete the pairing, but if that doesn’t work (it didn’t for me), or you don’t feel like running back and forth between the devices, you must go through a more onerous manual pairing process. This involves selecting the sensor from your phone’s Wi-Fi menu, then entering a code from the setup card, then entering your Wi-Fi credentials through D-Link’s app. A lengthy firmware update will likely follow, after which you must unplug and replug the device to restart it. The sensor cable measures 1.3 feet, and connects to the device via a 3.3-foot RJ45 cable. If that’s not long enough, you can purchase a standard RJ-11 extension cable for cheap. RJ-11 extension cables cost a few bucks online and let D-Link’s sensor stray further from an outlet. 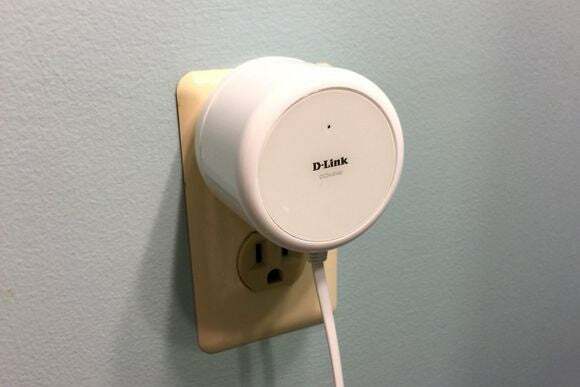 Despite its use of outlet power, the D-Link’s alarm isn’t particularly loud, coming in around 75 decibels in our tests. If you want something louder, D-Link sells a separate Wi-Fi siren for $50. Of course you also get push notifications to your phone by default, and can set up email alerts through the Mydlink app. The device measures moisture, but not temperature or humidity. The best thing about D-Link’s sensor is that it integrates with other services and smart home devices through IFTTT. You can use this service, for instance, to get phone call alerts, log activity in a Google Sheet, or flash your smart light bulbs when water is detected. While some smart home hubs such as Wink and SmartThings support IFTTT as well, it’s not available with the other Wi-Fi sensor we tested, Honeywell’s Lyric. Those perks aside, D-Link’s sensor has the benefit of being fairly inexpensive. At $60 a piece, a pair of sensors would cost less than even the cheapest hub-based systems, and the IFTTT support means you still get to enjoy some of the integrations that typically require a hub device. The hard requirement for outlet power, however, just makes things a bit more complicated, and may not put all your worries to rest.